Grew Up... not quite as well-bred as she would have preferred. A resident of Ponyville all her life, Rarity grew up in a family that did not quite share her love for high culture and haute couture. While she loves them deeply, Rarity can't help but be a little embarrassed by her lowbrow parents. Living... in Ponyville, a small town in the kingdom of Equestria. 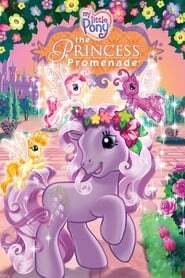 Although not quite as large as Canterlot, Equestria's capital and the place to be for any aspiring society pony, Ponyville has its own charms – mainly in the form of Rarity's best friends, who all live nearby. Profession... seamstress at the Carousel Boutique, which she owns and operates. While not quite the hub of culture Canterlot would be, Ponyville still has plenty of work for Rarity, and she's always happy for a chance to improve her friends' wardrobes. Interests... dresses, jewelry, and high culture. As a filly, Rarity discovered her love of fashion early on, and she's been dreaming of the day her designs will dazzle Canterlot ever since. Relationship Status... single. 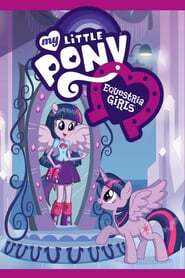 Spike, Twilight Sparkle's baby dragon assistant, has a crush on her, and while Rarity enjoys Spike's company, she sees him little more as "my little Spikey-wikey" than as a potential Prince Charming. Challenge... infiltrating Equestria's upper crust, where she rightfully belongs. Entering Equestria's elite isn't an easy task, but Rarity's refined tastes and fashion sense mean she has a strong chance at succeeding. Whether high society will be as welcoming towards Rarity's old friends, however, is another question altogether. Personality... sophisticated, appearance-conscious, and creative. A talented dressmaker, Rarity's keen eye for beauty is only matched by her appreciation for elite society. While her love for high culture leads to occasional vanity, Rarity is also deeply generous, willing to sacrifice even her beauty for the sake of others. When her friends need dresses for a gala, Rarity immediately offers to make and remake them to perfection, reassuring the other ponies, "you're my friends, and I want you to be 110% satisfied." Rarity's popularity ranking on CharacTour is #1177 out of 5,000+ characters. See our top-ranked characters and read their profiles. 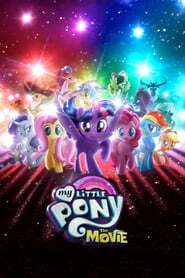 My Little Pony is an American animated television series produced by Marvel Productions and Sunbow Productions based on the My Little Pony toys released by Hasbro. 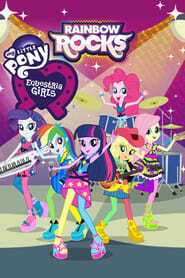 The series featured as the first segment of a program called My Little Pony 'n Friends. The second segment would be an unrelated cartoon based on another Hasbro franchise - including The Glo Friends, MoonDreamers and the Potato Head Kids. 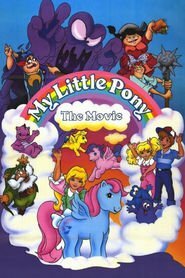 The series debuted in September 15, 1986, a few months after the release of My Little Pony: The Movie, and ended in September 23, 1987. 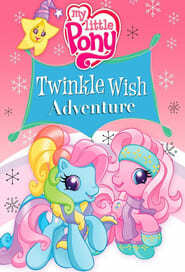 Two previous television specials were also edited into segments of My Little Pony 'n Friends: Rescue from Midnight Castle and Escape from Catrina. 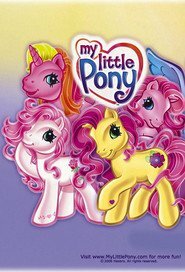 The complete series of My Little Pony segments have been released on DVD in Regions 1 and 4. As of January 25, 2012, none of the other segments have been released on DVD. The 'Here Comes Christmas Candy Cane' is an important part of Ponyville: it?s the beacon that shows jolly old Santa Claus the way to the town as he makes his holiday rounds each year. But when Minty accidentally breaks it, it looks like Ponyville is destined to have a bleak holiday season. 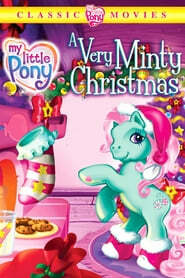 Minty is determined to do anything to save Christmas for her Pony friends while they, in turn, band together to try and cheer up their despondent four-legged friend. Canterlot High meets its rival school, Crystal Prep Academy, in a competition that?s a long-standing tradition ? The Friendship Games. 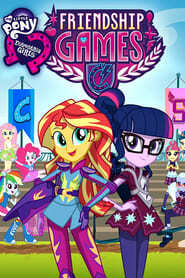 Sunset Shimmer is tasked with keeping magic out of the games to avoid the appearance of impropriety while she and her friends compete against Crystal Prep?s top students led by someone with an equal amount of interest in Equestrian magic ? this world?s TWILIGHT SPARKLE. When Canterlot Highschool goes on a trip to Camp Everfree, they?re surprised to find a magical force is causing strange things to happen around camp. With the help of the Mane 6 and especially Sunset Shimmer, Twilight Sparkle must confront the dark ?Midnight Sparkle? within herself and embrace her newfound magical abilities to save the camp. A new dark force threatens Ponyville, and the Mane 6 ? 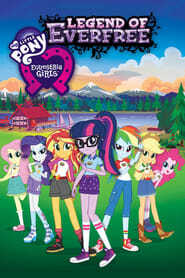 Twilight Sparkle, Applejack, Rainbow Dash, Pinkie Pie, Fluttershy and Rarity ? 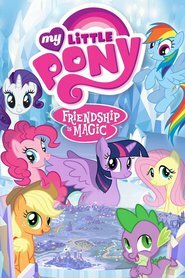 embark on an unforgettable journey beyond Equestria where they meet new friends and exciting challenges on a quest to use the magic of friendship and save their home.